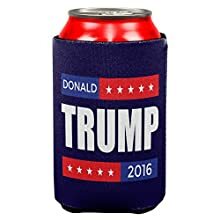 A great way to support Donald Trump while keeping your can ice cold! 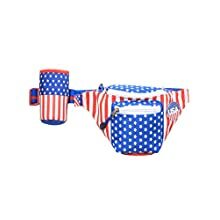 Bright colored waist pack with patriotic Red, White and Blue colors. Functional hip pack design and premium nylon fabric that includes a detachable drink holder. 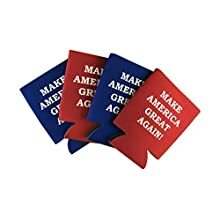 Fanny pack has three (3) functional compartments with white zippers.